Like I mentioned yesterday, I’m trying to get some of my accumulated notes, scraps and fragments compiled into the blog. Here’s a beginning of something — it’s the introductory section from my talk, Free Market Anti-Capitalism? Radical Markets, Social Experimentation, and What the Capitalists Left Out, which Gary Chartier very generously arranged for me to give at La Sierra back in February. The middle of the talk pretty heavily cannibalized written material that I’ve presented elsewhere, but the new stuff nicely splits into two or three parts — the introductory stuff here as the setup, and some closing lessons that I’ll be putting up in a separate post. Markets used to be celebrations. In classical Athens, the open market, or agora, was famous as a place for conversation, company, and positive human interaction. In medieval Europe, the market fair was a festive occasion, which drew people together from throughout the country. Markets were seen not just as places to meet the needs of the day; they were places to meet people, places to interact with each other on a positive and mutual footing, and places that were central to the best and happiest experiences of social life, and the most distinctive local institutions, entertainment and culture. Socrates’ life work was not speaking to people in the assembly, or the temple, or the academy, but in the marketplace. But when we speak of “markets” today it’s hard to get the same sense of conviviality. A “marketplace,” as we use the word today, is a place for company, alright – BP, for example, or Ford Motor – but this not the sort of company most of us would care to keep if we had the choice. The “marketplace” today, and “unregulated” or “free” markets most of all, are very widely seen not as spaces of sociality or positive interactions, but as sites of alienation, exploitation, immiseration or cut-throat competition. When you hear “unregulated markets,” what examples do you think of? For most people, the answer is probably something out of Upton Sinclair’s The Jungle – crushing labor, starvation wages, and disgusting conditions. In the regulated marketplace that we have here, most people’s experience with the market is one of constraint and grim necessity at best. You have to work to eat, so we have a “labor market” where you deal with your boss, and a “rental market” where you deal with your landlord, and a “stock market” where a handful of insiders make bank while the rest of us can pray that our retirement isn’t crushed beneath the next big collapse. There’s a credit market where folks measure out their lives in a perpetual state of debt and a mass-market media where entertainment exists to sell viewers to commercials. When the relationships that “markets” make people think of are the “relationships” you have with bosses, landlords, ad-men and collection agents, the last thing we are inclined to think about are mutuality, equality, or positive human interaction – let alone celebration or joy. To talk about freeing markets in this context often strikes people as grotesque – what would free markets mean but free reign for powerful people’s short-sighted greed, unchecked by solidarity or decency? Even those who are inclined to defend what they call “free enterprise” or “the market economy” hardly ever do so in anything but negative terms – if not for markets we’d probably starve, and in any case we wouldn’t have iPads or jumbo jets. But that’s not to say that they much like the idea of market values, corporate capitalism, or commercialization working its way throughout social life. We are told to reconcile ourselves to vast inequalities of wealth, bureaucratic office culture, hypercommercial mass culture, and the daily grind of debt, rent, and labor as an unpleasant but necessary feature of freedom and prosperity. Well, I certainly have not come here to defend inequalities of wealth, bureaucracy, corporate capitalism or hypercommercialism. Far from it: I would like to bury capitalism, not to praise it. But the debate over political economy has far too often been constrained by the pervasive notion that it must be seen as a debate between freedom on the one hand and equality on the other, as if the only choice is, which one politicians ought to sacrifice for the sake of the other. Speaking as a libertarian and an individualist Anarchist, I do not intend to intervene in that political debate. When I defend market freedom as not only materially beneficial but socially liberating, what I intend to advocate is not a defense of business as usual, existing concentrations of wealth, or apologetics for “growth” at any costs. There are three points of difficulty here that need to be unpacked. First, the underlying notion the defense of freed markets is the province of the political Right, or that it involves uncritical apologetics for commercial culture and socio-economic hierarchy. I will argue instead that radical libertarianism – properly understood – is really a doctrine of the radical Left, in favor of achieving social and economic equality by means of unfettered social and economic freedom. The second difficulty is the question of whether business-as-usual in our current capitalist system represents the character or dynamics of a free market, in any meaningful sense. The third difficulty is a failure to make a critical distinction – to recognize an ambiguity in the meaning of “market” itself. There are reasons why 20th century libertarianism so closely associated with the Right, particularly in the geo-ideological context of the Cold War. But it has not always been so. During the 19th century, libertarians like Benjamin Tucker, Stephen Pearl Andrews, Voltairine de Cleyre, and Lysander Spooner came out of, and closely identified themselves with, the reform causes of their day – especially abolitionism, first-wave feminism, the co-op movement, and the labor movement. They saw themselves not as defenders of big business or American economic institutions, but rather as its most consistent and radical critics. Far from calling themselves “capitalists,” they most frequently referred to themselves as “socialists.” But what did “socialism” mean for a radical libertarian like Tucker, who described his economic program as “Absolute Free Trade … laissez-faire the universal rule,” and who proposed “not to strengthen . . . Authority and thus make monopoly universal, but to utterly uproot Authority and give full sway to . . . Liberty, by making competition . . . universal”? Clearly, Tucker’s “Anarchistic socialism” did not mean government ownership of the means of production; what he meant was, instead, opposition to the practices of actually-existing big business, and a belief that workers should free themselves and organize together so as to better control the conditions of their own labor. But isn’t that just a criticism of the results of market processes? Only if big business practices are the natural result of market processes, and only if worker control can only be achieved through political control of economic life. That is what 20th century libertarians – and their political opponents – both tended to assume; but it is precisely what Tucker intended to deny – for reasons that I’ll come back to soon – and precisely what led him to see laissez-faire as the banner of socioeconomic equality. Which of these two strands will libertarianism follow in the 21st century? Will “free markets” continue the tradition of the right-libertarianism of the 20th century, or revive the tradition of the left-libertarianism of the 19>th? Well, that remains to be seen: it’s early in the century yet. But let’s say a bit more about what the choice amounts to. Those of us who argue in favor of the left-libertarian view have often summed up our differences from both the political Right, and the non-libertarian part of the Left, by saying that a left-libertarian is someone who believes in “Leftist ends and libertarian means.” We see libertarianism as the natural ally, not the opponent, of many causes traditionally associated with the Left: a humane concern with social equality, civil liberties, the emancipation of women, the relief of poverty, decent healthcare and housing, solidarity among the working class, international peace, environmental sustainability. But the question is the means by which to achieve them: will they be voluntary, or coercive? Will they be brought about by voluntary association among free people – brought about by interactions in the space of markets and civil society? Or will they involve laws, government, mandates and prohibitions, brought about in the space of legislation, the courts, and dictates ultimately backed up by police and military force? There seem to be obvious prima facie reasons to prefer consensual relationships – associations among equals and grassroots organizing – as the means for bringing about these goals, rather than political mandates and legal enforcement. But how likely is it? How would markets – characterized by competition and profit-chasing business even begin to address these social questions? Why does an ideal of freed markets seem so alien – even hostile – to values of solidarity, compassion, or sustainability? I think that the answer to these questions is wrapped up in a distinction. When we talk about “markets,” and “freed markets” especially, there are really two different definitions we might be working with – one broad, and one narrow. The distinction between the two is crucial, and both advocates and critics of markets have neglected it far too often. What is a market, ultimately? It is a set of human relationships. But the kind of relationships we have in mind varies, depending on what elements of markets we are focusing on – in particular, whether we focus on the aspects of individual choice, negotiated contracts and free competition; or whether we focus on the aspects of quid pro quo exchanges and commercial relationships. In the first case, we have markets as free exchange. When libertarians talk about markets, or especially about “the market,” we often mean to refer to the sum of all voluntary exchanges – when we set out to discuss freed markets, we mean the discussion to encompass any economic order based – to the extent that it is based – on respect for individual property, consensual exchange, freedom of association, and the freedom to engage in entrepreneurial discovery. So to say that something ought to be left up to the market is simply to say that it should be handled as a matter of choice and freely negotiated agreements among the people concerned – agreements that people can support or withhold their support from, which they can participate in or withdraw from – rather than by laws, government mandates, or prohibitions that are legally imposed on all. In the second, we have markets as the cash nexus. We often use the term “market” in a different sense – to refer to a particular form of acquiring and exchanging property, and the institutions that go along with it – to refer, specifically, to commerce and for-profit business, typically mediated by currency or by financial instruments that are denominated in units of currency. Whereas free exchange is a matter of the background conditions behind an agreement, the cash nexus is a matter of the terms of the agreement itself – if the people involved are agreeing to conduct matters on a paying basis, in a relatively impersonal quid-pro-quo exchange. We’ll return to the importance of this distinction later on; for now, let’s keep it in mind by way of a definition of what we might mean when we start talking about “markets.” But in both cases, we need to make sure that we differentiate between markets, on the one hand, and capitalism on the other. I intend to defend markets as form of social interaction; I have no intention of defending capitalism. Of course, some people merely use the term “capitalism,” or “laissez-faire capitalism,” as a synonym for free exchange. But there are other meanings that have traditionally been associated with the word. “Capitalism,” especially when used by writers on the Left, has often referred, not to the condition of market freedom, but to some common features of the unequal markets that we see today – in particular, the predominance of bosses, wage labor, and corporate jobs in the labor market; large inequalities of wealth between employers and workers; the predominance of landlords and mortgage-holders in the housing market; the predominance of corporations and large, centralized firms in economic life; and the predominance of high finance and extensive networks of business and consumer debt. These are features of the marketplace we encounter every day. But do they need to be a part of a genuinely freed market? When people are free to experiment with any and every peaceful means of making a living – could other, more mutualistic alternatives, with less inequality, more widely distributed forms of ownership, a marketplace full of co-ops or independent contractors rather than wage labor and corporate jobs, arise and take on an increased role in the economy? Or does corporate capitalism represent a natural tendency that all markets are driven to, which would predominate in any market, no matter how open to free experimentation? To be sure, the capitalistic arrangements dominate now. But that is reason to believe that markets always tend towards social inequality are the result of a free market if what we have nowis a free market. And the greatest mistake that people make in discussing markets today is to talk as if the capitalistic system that we live under is a free market system – in which people make their choices and do their business because that’s what wins out in a competitive marketplace. But this is not a free or competitive marketplace. 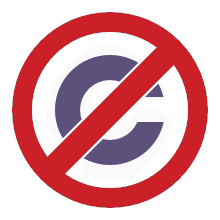 There is an alphabet soup of government agencies that monitors and constrains it, and a small library of regulations that they enforce. But the most pervasive and the most significant forms of economic intervention are almost never discussed. To get an idea of how pervasive and how damaging government intervention is – who the weight really falls on – we need to look beyond the air-conditioned offices, to the predicaments faced by ordinary working people, the poor, the jobless, the marginalized, and ask how much they are free to participate in mutual economic exchange, or to explore and devise alternatives to the relationships on offer from the companies that now dominate economic life. . . .